The Finnish archipelago. Photo: Janne Gröning. DROPP is a social enterprise that donates 100% of its profits to support the environmental rehabilitation of the Baltic Sea. The company was set up in 2014, when our founder Amanda decided she wanted to do her bit to save the Baltic Sea and mobilise others in this effort too. 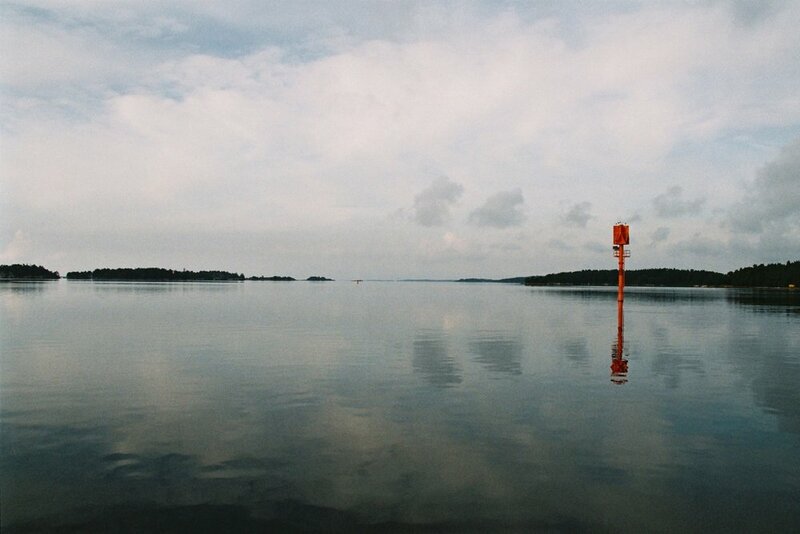 Out kayaking in the Finnish archipelago, Amanda was struck by the particularly heavy algal blooms and felt compelled to find a way to make it easier than before for companies and individuals to get involved. And since Finns consume around 100 million litres of bottled water each year, using this market to generate good seemed like a good starting point. Since 2014, DROPP has donated 100.000 euros to its partners working for a healthy Baltic Sea. DROPP water can be found in 300 cafés, shops and restaurants all across Finland and our reusable water bottle has sold out repeatedly. We offer a more sustainable alternative to spring water brands on the market and donate 100% of our profit to environmental initiatives for a healthy Baltic Sea. DROPP is bottled by a family-owned company that uses renewable energy and regularly audits its use of resources to make sure its carbon footprint is constantly diminishing. DROPP also works together with Opel to bring our customers zero emissions deliveries – our delivery van is powered by Finnish biogas! In addition to bringing you the freshest spring water in the world (as defined by UNESCO) DROPP has also designed a reusable water bottle together with Swiss manufacturer SIGG. The lightweight bottle is made out of 100% recyclable aluminium, with an EcoCare liner that keeps your drink fresh and prevents any chemicals from coming in contact with it. The design is by Finnish designer Robin Falck and you can find our bottle in a number of design and outdoors shops. To achieve maximum impact DROPP works with the Baltic Sea Action Group, supporting their advocacy efforts both at the national and European level, as well as working with the University of Helsinki on ground-breaking marine research, helping us understand the impact of climate change and eutrophication on vulnerable coastal ecosystems. You can follow the latest news from our partners on their websites and our BLOG. The Baltic Sea is a unique marine ecosystem: a mix of salt and freshwater that is home to a rich variety of species adapted to its unique conditions. At the moment the sea is under a lot of pressure and is the most polluted sea in the world. The environmental balance has been disturbed by over-fishing, irresponsible shipping practices and pressures from agriculture and industry. An excess of nutrients has caused increased growth of algae and plants, resulting in oxygen depletion, which in turn is leading to a loss of biodiversity as some species find it increasingly difficult to cope. In order to turn the situation around, significant reductions in the nutrient load are needed. This requires long-term efforts in all the countries around the Baltic Sea. Thankfully a lot of progress has already been made and results are seen especially in the Eastern parts of the Gulf of Finland. Together we can turn the tide and restore the environment of the Baltic Sea!